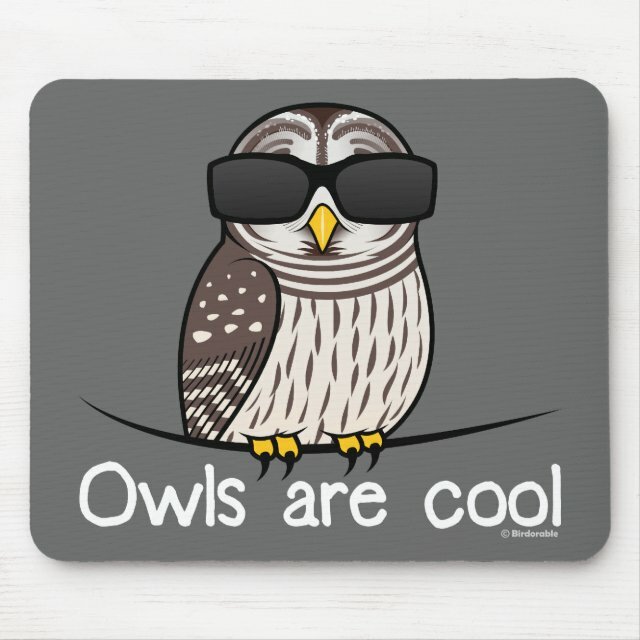 This cute original design from Birdorable features our original Barred Owl cartoon wearing a cool pair of shades. You can customize this gift! Move the design around, change the product color or style, add text or images -- make it your own! This high quality mousepad is full of vibrant colors and keep your mouse dust-free and sailing smooth. Decorate your desk at home or the office with this beautiful mousepad. Its durable cloth cover is dust more... and stain resistant and its non-slip backing keeps your mouse and your mousepad in place. Sized 9.25 x 7.75 inches.